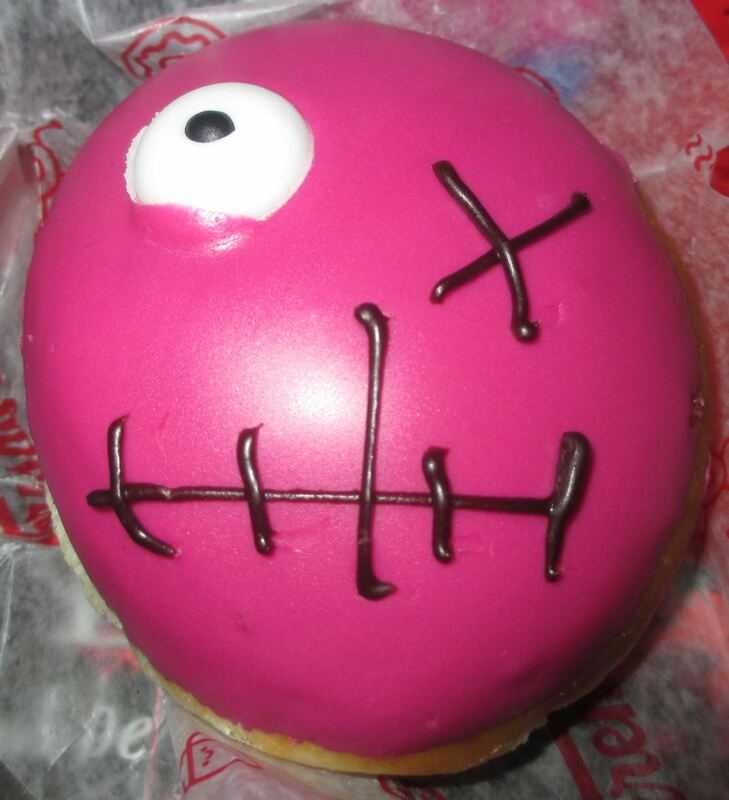 Specially for Halloween Krispy Kreme has let loose the Curse of the Doughnut Zombies. 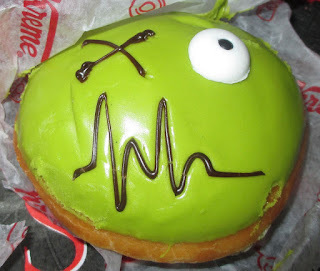 There are two new zombie doughnuts in the range, a purple faced one and a green one. They are neatly decorated, with Halloween faces. The green one in particular has an air of Frankenstein about him. This doughnut has a lovely aroma of blackcurrant, and when you bite in you find the flavour is fairly strong, but all in the icing. The icing is sharp and sweet, and goes nicely with the sweet soft chocolate filling. This fine green doughnut is the Lime one in the range. As with the previous doughnut the flavour is all in the icing, it's a soft flavour and the sweetness makes the fruit seem mild. The filling is again chocolate and as chocolate lime is a bit of a classic, this works really well. Get them while you can, they are only available up until Halloween, after which they will spookishly disappear.